Features an extra-large 12-digit LCD display for easy viewing. Reliable 2.3 lines-per-second 2-color ink roller printer. Cost/sell/margin keys make for quick and easy profit margin calculations. Simply enter 2 variables and the third automatically appears. Features 25 easy-to-use functions. 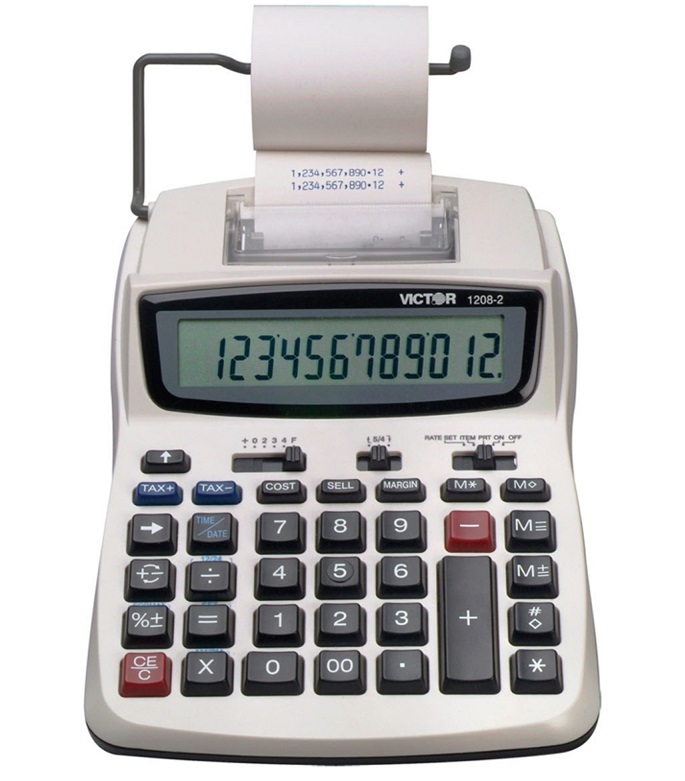 Includes time/date, automatic tax keys, item count, date/non-add key, change sign key, percent key and backspace key. 4-key memory for easy retrieval. Requires 4 AA batteries (sold separately). AC powered to work anywhere. Automatic shutoff conserves battery life. Contemporary black and white styling complements any modern desktop décor.